In 2002, when Sammy Sosa was still a Chicago icon, the former Cubs slugger finished the season with 499 career home runs. He had to wait until the following spring to hit the Big One. I thought of that last fall after a black-throated blue warbler appeared in my yard. It was a completely unexpected bird, and it raised my all-time yard list to 99 species. Now, like Sammy, I’d most likely have the whole winter to ponder my date with destiny. I’ve had my sights on 100 yard birds for the last few years, when hitting the century mark began to look like a realistic goal. I started keeping the list in 1997 when we first moved to Glen Ellyn. Since reaching about 80 species, the “game” has been a lot more challenging—growing the list now depends far more on luck than identification skills. I was determined this spring to be in ready when a new bird came along. Almost every morning before work I spent at least an hour on the back patio, waiting and watching. That meant getting up at 5:00 a.m. but it was always worth it. I welcomed many beautiful and interesting birds, including a blue-headed vireo, scarlet tanager, Blackburnian warbler, Wilson’s warbler and veery. The best bird of all, a male common yellowthroat, arrived on May 21. No. 100 at last! Seeing that bird—a species I’ve seen dozens of times in other places—was a special moment. I’m still a bit surprised that my yard hadn’t produced a common yellowthroat before. The species—a striking member of the warbler family with a bright yellow breast and black mask—usually prefers wetland habitat. But like many migrating songbirds, yellowthroats can turn up just about anywhere in May. I guess it was just my turn. Two weeks after spotting No. 100, I received a bonus. While outside watering some new grass, a pair of green herons flew in low and landed in a neighbor’s tree. After getting over the shock of just seeing these out-of-place birds, I watched for several minutes as they rested and preened. Those herons made my day, and they raised my yard list to 101. For me, “keeping score” is part of what makes birding so much fun. I love the challenge of seeing new birds, especially in the yard, where the birds must come to you instead of you going to them. It still amazes me what can be seen and heard right outside our doors. Of course, some doors lead to greater possibilities than others. 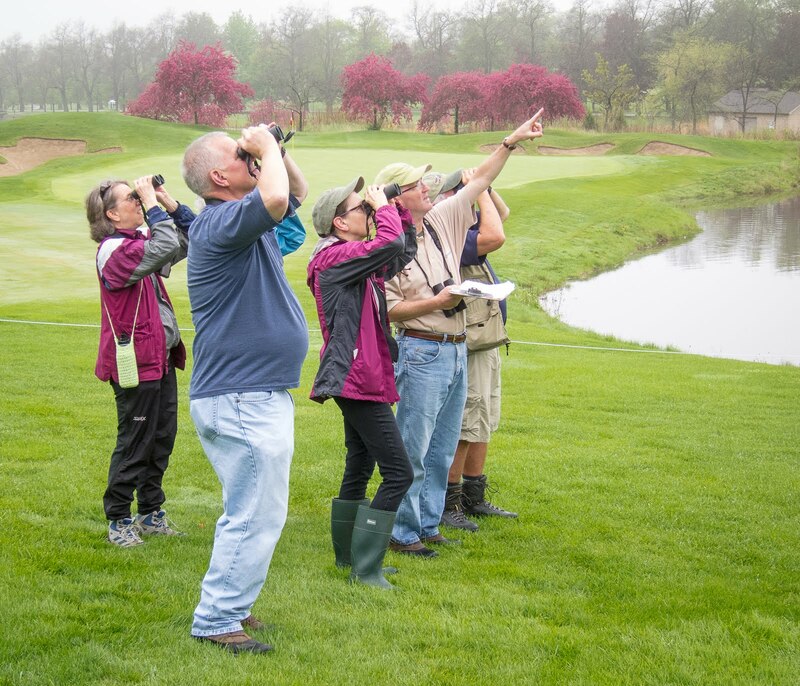 If your yard overlooks a lake or pond, for instance, you’ll see more species. But you work with what you have. My property is small and unremarkable. It is surrounded by other houses. I’ve always felt fortunate, however, that our back patio faces west. That puts the morning sun at my back, making it easier to see and identify the birds. When something special comes along, a bird you’ve been waiting for, it’s nice to see it in the best possible light.